Two-year-olds are filled with energy and curiosity about the world and have a new sense of increasing independence. This is the time they go through rapid development in many areas, and they are eager for attention to help them learn and understand basic things about the world. Our two-year-old preschool program still allows for flexibility, but at this age we feel children do need a little more structure. 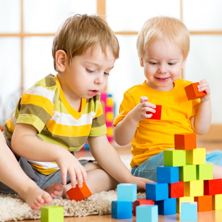 The classroom is set up to create a rich learning environment that supports the way each child learns in our daycare so those brain connections can be made to their fullest potential. Our faith-based curriculum for our two-year-old students focus on play, group activities, socialization skills and preschool preparation. 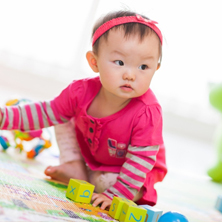 One main focus in our two’s program is language development. During this time in your child’s life, communication begins to flourish. Want to learn more about our preschool for two-year-olds? 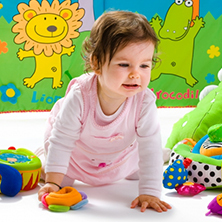 Contact our Christian daycare academy today!